Dr. Holley developed an appreciation for the profession at an early age, when chiropractic care prevented him from shoulder surgery. He is a strong advocate of preventative medicine and a drug-free approach to patient care. As well as earning his doctorate, he has studied under Dr. Waggoner, and has been trained in all of his techniques. His guidance has given him the tools to provide the best care for his patients. Dr. Holley was born and raised in Wabash, IN. 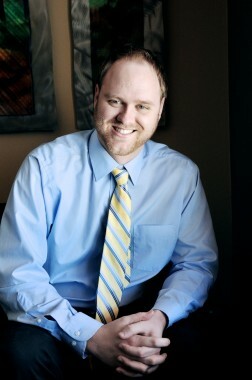 He joined CCWC in February of 2012 as the full-time chiropractic physician at the Millersburg location. On his days away from the office he enjoys spending time with his wife Megan and two beautiful daughters. He is very active in the Millersburg community and an avid movie goer on his free time.